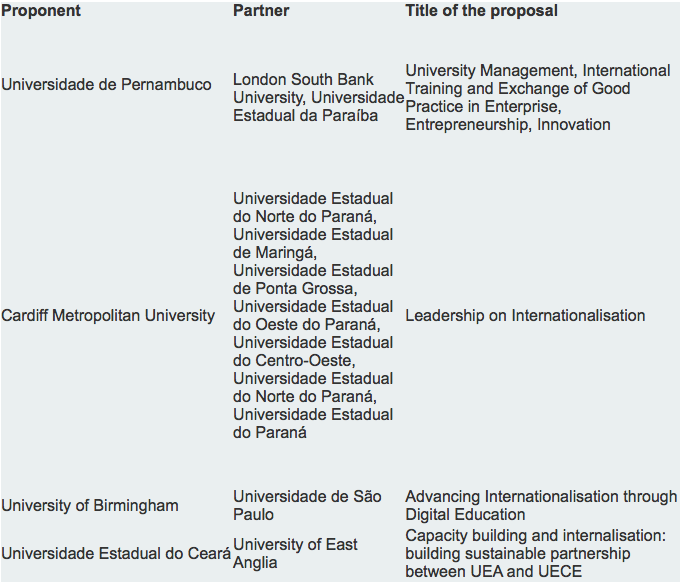 Tagged with Brazil, British Council, UK, UK-Brazil internationalisation fund. 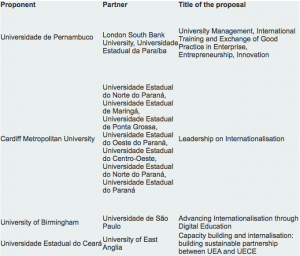 The British Council has announced the list of grantees under its Brazil-UK university partnership program. The British Council scheme will also support activities such as exchanges, workshops, joint publications. The four projects that will receive the award will develop internationalisation strategies and strengthen partnerships between UK and Brazilian universities. Developing an internationalisation plan is a prerequisite for Brazilian universities that want to access their government’s research mobility scheme. “[Brazilian] universities need to present internationalisation plans as a project to leverage resources,” Diana Daste, British Council Brazil senior manager of higher education and the Newton Fund, told The PIE News. The British Council scheme will also support activities such as exchanges, workshops, joint publications, with the aim to consolidate an ongoing partnership. “We want to see strategic and consolidated partnerships going beyond the signature of a Memorandum of Understanding and actually being embedded in different activities across the curriculum of the institution,” Daste said. Universities have a timeline of about eight months to a year to implement activities and strategies, with a longer timeframe to consolidate their partnership. Student mobility is not the main focus of the scheme, but it will certainly be enhanced, Daste said, adding that a reciprocal relationship would be the aim. “Student mobility is just part of the scheme. It will resolve in this, both ways ideally, but it’s part of it. We want to see stronger international relations and research departments working together across both countries,” she said. This is the second call for applications to the British Council UK-Brazil partnership scheme, following the 2017 call with federal universities under which eight awards were made. The projects in the first call concentrated on the development of an internationalisation plan, but in the second call schemes have a stronger focus on staff development and English language policies, Daste explained. The Brazilian partner for this call is ABRUEM, an association of 45 state and municipal universities.